Less than one week ago we showed you how to get Multifl0w working on any of your iOS devices for free. Hours prior to writing that, I myself took the plunge into the jailbreaking world not with my iPhone 3GS, but my multitask-less iPad. Days later, I turned back. The single most glaring omission in the iPad's current software version is the lack of any multitasking beyond the native apps like iPod, Mail, and Safari. Again turning back to what was once the most popular argument for multitasking: Pandora. It's hard to justify picking up the iPad to accomplish several tasks at once because we're stuck in the stone age launching and killing every app we use. There's no fast app switching or background threads running after an app close. If you want to change apps, your only option is the home button, flicking through a few pages of apps and launching one from scratch. 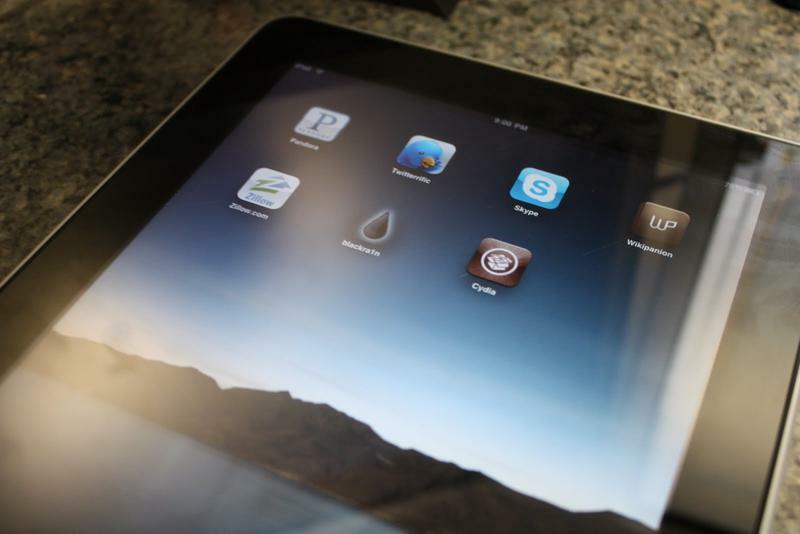 iPad longs for iOS 4. I thought jailbreaking was the best option available. In the past I had jailbroken my iPhone 2G and 3GS and for the most part, everything went as expected. My apps all performed as they had pre-jailbreak and the number of features gained in the process thanks to Cydia's wealth of apps made holding off from Apple's official updates worthwhile. BiteSMS, Backgrounder, PDAnet, 3G Unrestrictor, and SBSettings worked as flawlessly as advertised. It was heaven. Fast forward to last week when holding off from Apple's latest iPad OS update seemed to pay off, I headed over to Jailbreakme.com and it worked kits magic. Minutes later I had a jailbroken iPad and headed on over to Cydia to find what I thought would be the most glorious multitasked to ever hit an iOS device. It was pretty much downhill from here. Once I finally managed to get the settings the way I wanted, I proceeded to work as normal. I popped open Pandora, headed into Twitterific and popped in and out of the three apps several times. It wasn't long before the app crashes started to make their way to an app when I least expected it. Playing videos in Safari became a chore as the app would more often than not crash the app, returning me to the home screen. At first I though it was normal since I've seen plenty of Safari crashes pre-jailbreak. It got worse and the norm quickly became two crashes before I could actually watch what I wanted. Reloading Safari tabs is already annoying enough. The app crashes weren't limited to Safari. Several of my apps wouldn't load at all, rather they just returned me to the home screen as if it thought I didn't actually want to open the apps I chose. As I tried jumping between background applications, I'd often find an app had crashed, requiring me to relaunch it from the home screen. The worst came as I tried to write my day's posts in the Notes app. I had about half an article finished when I jumped over to Safari to look up related details and when I returned to the Notes app, everything I had done in my previous session was lost. That was the last straw. Not only were apps being killed that were supposed to be running in the background but now information was being lost even as I ran the apps normally. It didn't take me log to restore my iPad to the state it was in before the jailbreak took place. Once I was back in Apple's territory, I've been having a much less frustrating experience. Everything works as I expect it and all I've got to sacrifice is a slower workflow. I'll take it for now, knowing we're only months away from the official iOS 4.0 making its way to the iPad. Have you jailbroken your iPad? Did you have the same results or did you come out in the lucky side of things? Share your experience in the comments.